I’ve lived in Golden just west of the city of Arvada for 12 years. In that relatively short amount of time, I’ve witnessed a miraculous reincarnation of the original nineteenth century heart of the town. 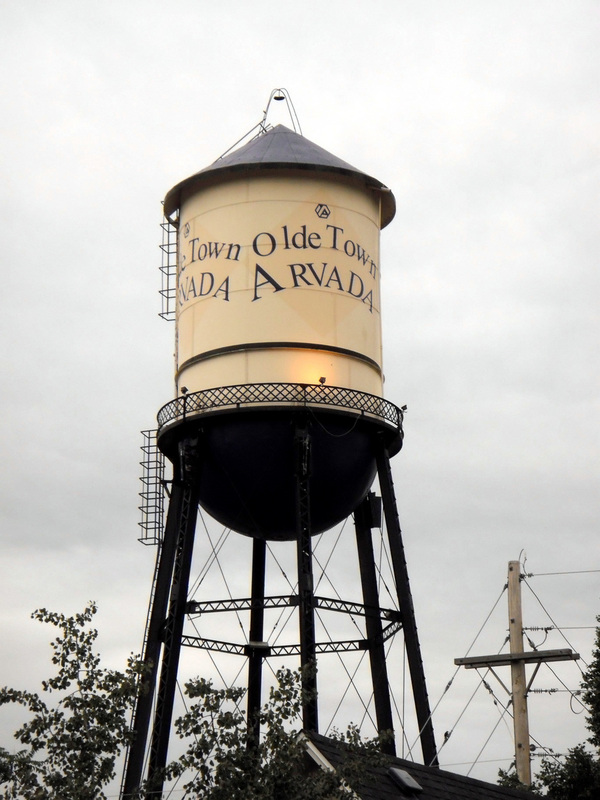 Just west of Wadsworth on the north side of the tacks, Olde Town Arvada has sprung up from the empty buildings on the hill around the historic water tower – and it has turned into a great destination for area residents. Denver’s Fast Tracks rail system has been one of the driving forces behind the recent development. The “Gold Line” connecting Denver and Golden is scheduled to open in 2016, and one of the few stops on this stretch is right across the street from the Grandview restaurant. Ever since the transit plans were solidified, more and more establishments have been popping up. And in Colorado it is hard for a new neighborhood to spring up without a local brewery – so last year the Arvada Beer Company stepped in to fill the void. The Brewery and spacious tasting area is located on the corner of Olde Wadsworth and Grandview Avenue. The atmosphere is simple and suites their business well. Their location is perfect. They opened their doors last October, but the quality of their beer belies the fact that this brewery is barely out of its diapers. 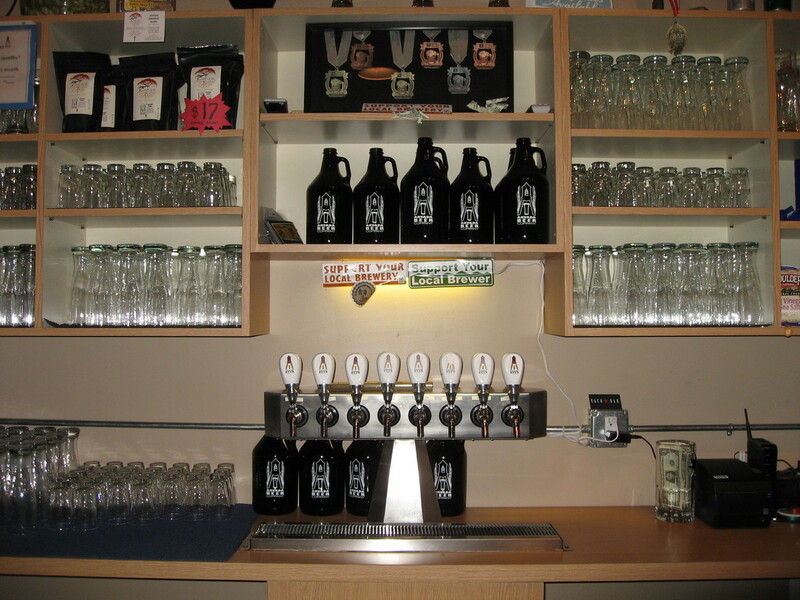 Arvada Beer not only serves as the local tasting room, it is also an integral part of the emerging community. Success can be difficult for any start-up business, and Olde Town Arvada has several that have sprung up in the past couple of years. To help each other out, all of the businesses in that area are cooperating to make things work. The Arvada Beer Company does not have a kitchen, but they want to give their patrons as many excuses as possible to hang out and drink more of their beer. So they have partnered with local restaurants to help them out. Each table has a menu card with contact information for seven different eateries that will deliver to the table. The food choices range from pizza to hotdogs to cheese steaks to Indian/Nepalese/Tibetan cuisine. The establishment around the corner, Mannequin Frites, also delivers. (Their name is a word play on Brussels’ mischievous mascot... the Mannequin Pis) They specialize in Belgian-style fries served with a dollop of your choice of 20 different sauces. They also offer a terrific sampling of famous Belgian beers such as Hoegaarden, Duvel, De Koninck, Kasteel Rouge, Orval, and various Lambics. Next door to the brewery is great little ice cream and candy shop called Scrumptious. Their sorbet is made with the brewery's Watertower Wheat beer – perfect for warm springs days, and their beer cheese soup is made with Arvada Beer’s 59er Schwarzbier. So through their partnership with the brewery next door, they have beer lovers covered whether they need a hot or cold to snack while wandering Olde Town. It really is a community where everyone appears to be helping each other out. 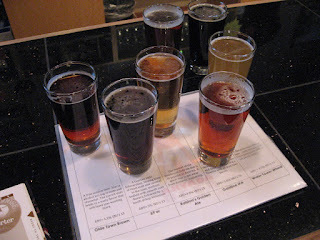 Arvada Beer Company brews a wide range of true-to-style beers. I’ve enjoyed their Olde Town Brown, Ralston Golden Ale, Goldline IPA, Coffee Porter and Watertower Wheat, but my favorite draft is their Schwarzbier called 59er. It is an excellent interpretation of the Northeastern German specialty. It pours almost opaque and has a fresh, clean aroma. The rich flavor is a perfect balance between dark malts and a smooth lager. There is no perceived roast flavor. Nothing dominates, which is the way a Schwarzbier should be. It finishes smooth & clean and fades out with pleasant malt flavors. Overall it is well balanced and a nice example of the beer that is more difficult to make than most think. The Arvada Beer Company does not yet distribute to other establishments. According to my server, Josh, they are “taking things slow to make sure and do it right.” As they feel more comfortable with their production they plan to expand their distribution. 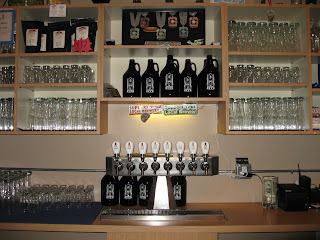 In the mean time, patrons can pop in to pick up growlers, or even grab a cornie if they have a keg-a-rator, or just need a small keg for a party. Tours can be arranged by request. Stop by and check them out – I think you’ll be pleased.